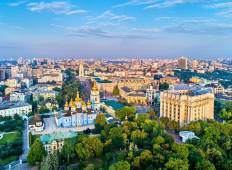 Find a Sightseeing trip that explores Ukraine. There are 11 tours to choose from, that range in length from 3 days up to 19 days. The most popular month for these tours is May, which has the most tour departures. 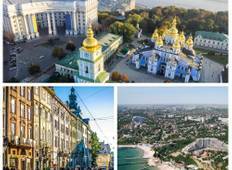 "If you are into architecture, old buildings, and churches then Ukraine is the place..."
"One of the best and most memorable trips I have taken! The itinerary wall well set..."
"We enjoyed a wonderful and very educational trip through an area of the world that..."